If you’re looking to achieve smoother, softer skin, LINIA Skin Clinic provides the perfect non-surgical solution. 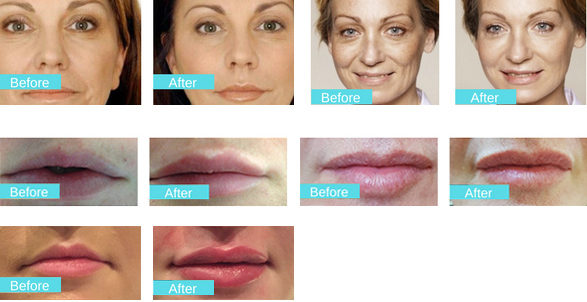 Our hyaluronic acid fillers naturally work to enhance the appearance of your lips, cheeks, forehead lines, nose, nasolabial fold (laughter lines), wrinkles and facial lines. The quality of your skin can diminish with age, it happens to us all. However, if you’re looking to create youthful volume and elasticity you could benefit from one of our dermal filler treatments, these are injected beneath the skin using a fine needle. Noticeably more and more people have the need to create a face that is seen to be “perfect” whether it’s contoured cheekbones or enhanced lips, we can meet your individual requirements, no matter what. The number one cheek filler used at LINIA Skin Clinic is Juvéderm, this filler is suitable for adding volume and creating that attractive cheek curve, and giving you a more youthful look.